" This mouthpiece is thinner than the original so it fits nicely, after it is molded. " 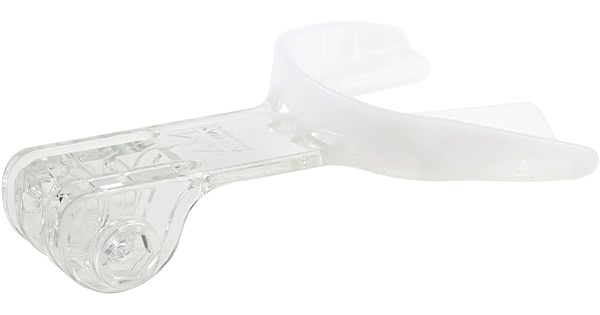 Airway Management, the manufacturer of the TAP PAP, acted on user feedback by offering the second generation of the mold-able ThermAcryl™ Improved Mouthpiece for TAP PAP Nasal Pillow CPAP Mask. It is lighter, thinner and more comfortable than the original mouthpiece. Stability is not sacrificed with the design change. The mouthpiece is made of the same great mold-able material as the original mouthpiece. Each user customizes the mouthpiece to fit their mouth and teeth structure making a unique shape for them. The design changes can be seen in the thinness of the mouthpiece and the cut out at the front of the mouthpiece behind the front teeth. This makes the mouthpiece thinner and lighter weight. 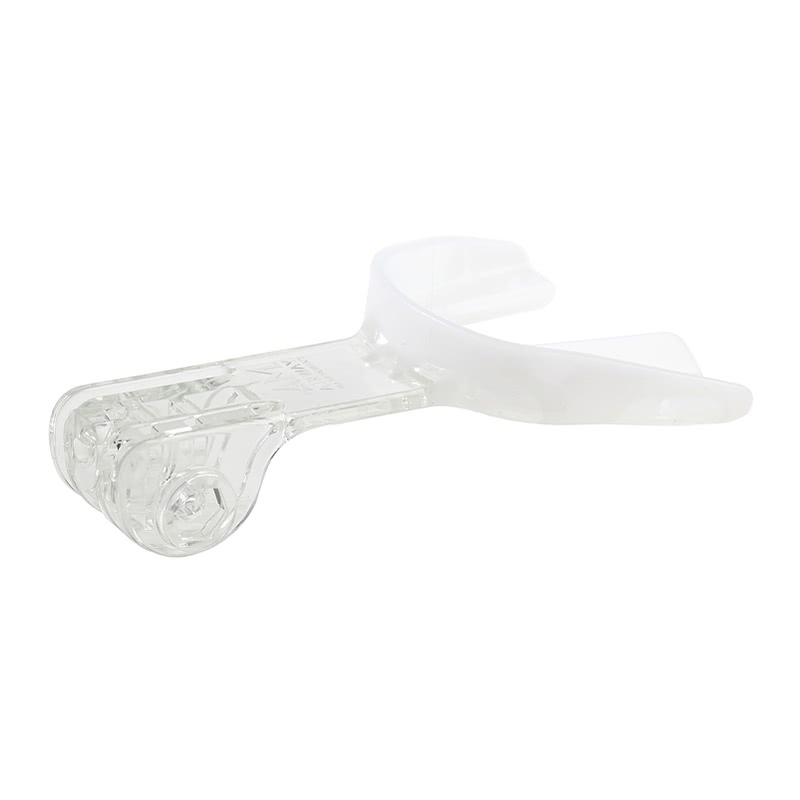 The Improved Mouthpiece for TAP PAP Nasal Pillow CPAP Mask fits all TAP PAP frames. This is the mouthpiece only and does not include any other parts.